About this objectA PHOTO OF THE ASHCROFT THEATRE SAFETY CURTAIN DESIGNED BY HENRY BIRD. 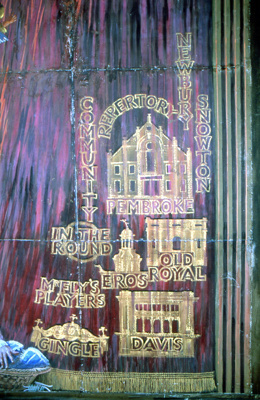 THE CURTAIN IS A CELEBRATION OF THE WOLRD OF THEATRE AND REFERENCES CROYDON'S RICH THEATRICAL HISTORY. 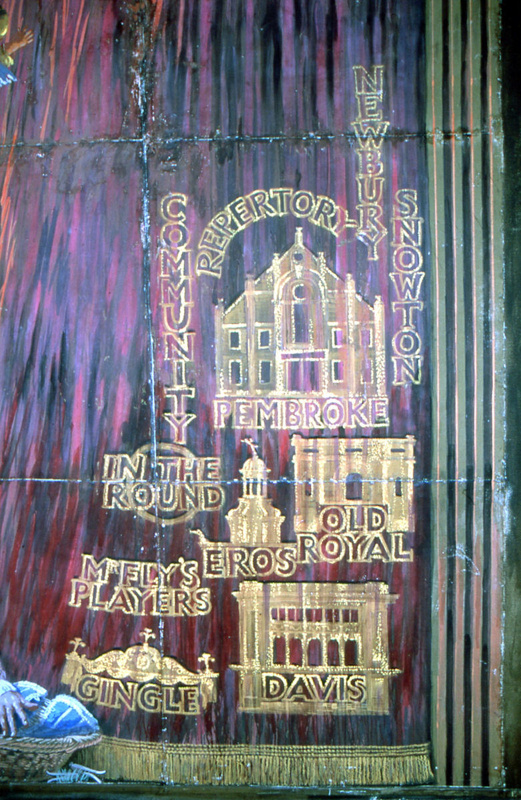 THE GOLDEN TEXT IN THIS PHOTO OF THE BOTTOM RIGHT HAND CORNER OF THE CURTAIN ARE NAMES OF OLD THEATRES IN CROYDON.